Today, we’re grateful to have a guest blogger on the site! Charles Watson is a book marketer and the current head writer for Sunshine Behavioral Health. 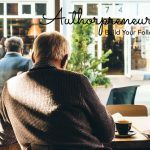 He’s a friend of Authorpreneur with lots of practical tips and wisdom for self-publishing and making your book launch a success! In today’s post, he’ll be looking at 11 ways to market a new book release in 2019! Your profile is among the first things potential book buyers will look at. A reader would want to know a little something about the author before they purchase a book. When creating your author profile, ensure that you showcase your milestones including any other book pieces you have previously done. It may be your first book release, so don’t be afraid. Talk about yourself and try to connect the dots by giving a relevant profile that gives a hint about your inspiration to write the book. Again, ensure that the profile is up to date. Today, if you are going to market a book, don’t limit yourself to a particular geographical region. You want to reach out to as large an audience and readers as possible. People all over the world are learning new languages meaning that it is likely you will find a reader from every corner of the world. Also, the introduction of the internet has made the world a global village where you can easily interact with people at the farthest corner of the planet. With millions of readers and growing book sales, the international markets are an attractive target for publishers and authors that are looking forward to expanding their readership. Make sure that you optimize the book’s cover design to align with each region and reach relevant local bloggers in those areas to help spread the word about the new book release. Remember that bloggers can be great influencers to help make your book and yourself known to other readers. Using blurbs helps you catch the attention of the readers, particularly those that know or have heard about the quoting publication or author. A book blurb should be about 100 to 150 words and appears on the rear cover of a print book. If it’s an eBook, the blurb can appear on online sales pages. A blurb is a little promotional piece to help sell your book. When writing the blurb, begin with a bright opening line piquing the curiosity of the reader. Give a hint about your characters and plot or the core concept using compelling words like “life-altering,” “powerful,” “mysterious,” “incredible,” – depending on the theme and genre of your book. In the weeks or months before the release of your book, you want to create images for quotes and teasers and publish them to your social media accounts and websites. Make sure that you grow your social media account fans over time. Your fans should have an interest in writing and reading or something like that. You can easily turn book quotes and teasers into beautiful images using apps like Designfeed and Canva. You need to offer incentives to the readers to help gain satisfaction in reading your book. The additional nudge or jolt is helpful in marketing the book because it encourages the readers to buy the book. The free swags are a promotion. You can have the readers who order the book email a screenshot, a copy, or picture of the receipt so that you send them the swag. Giveaways are an ideal way to promote a book. The giveaways can be in various forms, for example, you can have contests on your Facebook page or blog. You can even have blog tours for giveaways. Let your most loyal fans get free copies of the book in exchange for honest reviews that help in getting traction of the new book. The giveaways are also a way of rewarding your fans for being loyal. A sampler of the book gives potential readers an opportunity to discover what’s inside the piece. It’s not a complete book, but some few chapters and a description to help readers gain an insight into the book. You can upload the sampler as an eBook but let the audiences know that it’s just a sample and not the entire copy of your book. Have a link on the last page of the sampler to direct audiences to the page where they can purchase the full copy of the book. Discounts are a magnet for selling your book. Try to offer temporary discounts to attract potential buyers. Choose the lowest possible price that can yield the biggest volume of sales. A huge number of bargain readers purchase books from unknown authors because they want to take advantage of the promotion price. Similar to discounts, price promotions for your new book release will help drive sales. You can run a price promo for a backlist book or a book you published previously to aid in driving sales of the new release. Alternatively, you can discount the new piece after it has build up a solid ground. Creating an informational press release helps create awareness about the release of the new book. You can use free PR distribution service to publish a press release to blogs and news websites. Also, link the new book release product page to your own website to help with search engine optimization and drawing targeted audiences who learn more about the book. Have a participation contest to encourage fans to share posts or comments on posts in exchange for a free signed book copy or some other fun prizes. Audiences will be willing to share the comments on a post or the posts themselves when they find that they can win a copy of the book. Giving a signed copy of the book offers a unique proposition for attracting potential readers. Cross-promote the contest for winning prizes on other social media channels. Most authors have a limited number of fans on Twitter, Facebook, Interest, and other social media channels. When the followers are few, it limits your potential to promote the book on social media. Start building your fan base early to ensure by the time you launch the book, you have a huge social media footprint. Something to mention here is that when posting on social media, don’t do it too often and don’t blast your fans with messages that ask them to purchase your book outright. 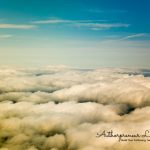 Aim at building your author reputation through engagement in social media, but don’t be too aggressive because it can have a negative impact. Use social media channels to grab the interest of readers in you as the author and in your blog posts. Use separate social media accounts solely intended for marketing your book. 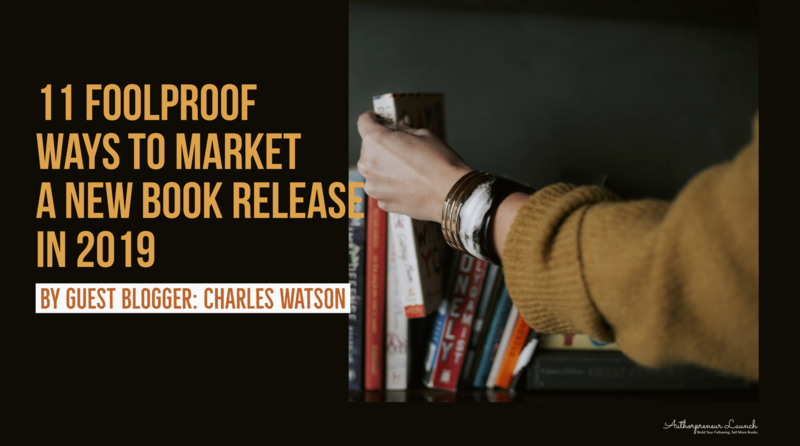 Whether you are an author, a publishing house, a marketer, or a publicist looking to sell books, you can use various book promotion tactics to amplify the exposure of the books and reach more readers. You need to spark inspiration in your readers while not being too insistent at the same time. These ideas can help increase your book sales, but others will mainly serve to expand your platform and create awareness about the book release and you as the author, which can result in future sales. BIO: Charles Watson is the current head writer for Sunshine Behavioral Health. Find him on Twitter at @charleswatson00.